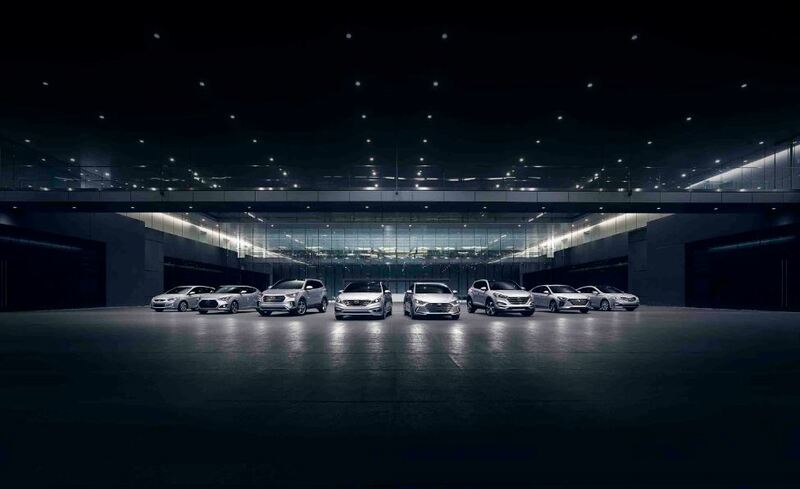 When you're in the market for a new Hyundai Sonata, Santa Fe, Azera, or other model, come to Taylor Hyundai of Findlay. We help Hyundai drivers in Findlay, Ohio get great automobile leases on all our new Hyundai cars and SUVs. Leasing a Hyundai from Taylor Hyundai of Findlay is a good option for drivers who don't put a lot of miles on their vehicle, or who enjoy the convenience of driving the latest Hyundai model without having to worry about selling their old car. Many drivers are often surprised after they talk to our Hyundai financing department and learn that leasing a Hyundai can lead to lower monthly payments than a traditional automobile loan. Interested in learning more? Get in touch with the experts in our financing department today. As a result of the lower monthly payments that come with a lease, you can consider some of the higher-end models on our Findlay, OH lot. Take a look at the gorgeous Hyundai Azera sedan, for example, or the high-performance Santa Fe SUV. We also offer a range of finishes and trim options, along with top-notch technology packages. Give us a call to schedule a test drive of a Hyundai Santa Fe or Elantra, and speak with our sales team about the options we have available. Along with Hyundai leases, the financial services department at Taylor Hyundai of Findlay can also help you with some of our other Hyundai financing packages. We offer Findlay, OH drivers competitive auto loans, and can also work with you to value your current Hyundai vehicle for a trade-in. Questions about which will be the right Hyundai financing option for you? Give us a call today.